The former Czech international has played second fiddle to Bernd Leno for the league duties since the start of October, thereby earning most of his gametime in the Cup competitions. Due to this, there has already been the speculation that Cech could leave on a free when his contract concludes in the summer and Emery has admitted that he is unsure where the veteran's future would lie next season. "I don't know now. This is a question for the club and the player to deal with our necessary things with the goalkeeper," he is quoted as saying by The Mirror. 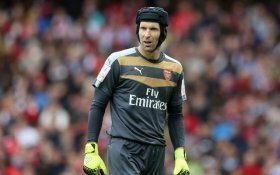 Cech is expected to start for the Gunners in goal against Blackpool when they make the trip to Bloomfield Road for the FA Cup third round tie this evening.